It’s that time of year and we’re all being inundated with gifts (and sometimes we are the “inundaters” of gifts) that we won’t know what to do with when the tree comes down. In the spirit of the season here are some ideas for gifts that almost anyone would be thrilled to receive and won’t take up any space after the holidays. Movie Tickets – Have a family you’re close to and don’t know what to do? How about getting tickets for a whole family? Tape them to a box of Orville Redenbacher’s and wrap in Christmas paper. This is a real luxury for a family these days and they’ll think of you when they use them! Local Theatre – Do you have a friend you can never get together with? Purchase tickets to an upcoming show and make a date to go together, you’ll make a wonderful memory for both of you and be much more inclined to “save the date”! Massages & Facials – Here’s an indulgence that anyone would enjoy – a gift massage is even more relaxing than one that is purchased. This is heaven to an over-whelmed parent! Lessons – New experiences make great memories! There are so many to choose from whether it is yoga, dancing, golf, ceramics, knitting, horseback riding or swimming. If you really want to make this special, join your friend or be there to take some photos of them when the day arrives. Manicures & Pedicures – another indulgence, but this one can be enjoyed for weeks! Books – Does this sound boring? Not to a bookworm! Receiving a gift card for a Kindle or Nook can be “just what the doctor ordered” to get through the months of January and February! For a college student a gift card to their college library can take a lot of stress off facing the upcoming semester. Gift Cards –retail gift cards are becoming the mainstay of America’s Christmas. They may be the answer to everything, but take a moment to make it special in the way you give it. If you have your children make a Christmas card to put this in, you’ll warm their hearts even before they see the gift. Experiences – Are there any big events coming up in the next year that someone you know might enjoy? A few years ago the U.S. Open came to Pittsburgh (Oakmont Country Club) and so I surprised my husband with tickets and another year with tickets to the Preakness. I made up an official “invitation” to the event using parchment paper and wrapping a ribbon around it and voila! What events would your friends of family enjoy? The Gift of Remembrance – For the person who has everything, why not give generously in their name? There are so many wonderful opportunities whether it’s their favorite charity or a memorial in the name of their loved ones. The Gift of Food & Life – Another way to give in another person’s name. Options include Oxfam, World Vision, Feeding America and so many other great organizations (not to mention there is always your local Food Pantry). For as little as $25 per month you can open the door to opportunities for a young mind. Remember almost any gift becomes twice as nice if you include a handwritten note! Take a moment to thank a friend or family member for a kind word or deed from that year that meant something to you. Recounting a special memory or a time of laughter with them will make them feel special and touch a chord in their heart (especially more than that Chia pet). These are excellent ideas. I especially like the gifting with gift cards. My son’s girlfriend loves to read. I am going to use that idea for her and her nook. 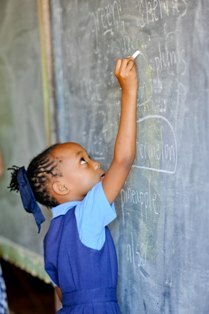 Sponsoring a Jamaican school child is excellent as well. Providing educational resources for a child will allow for a priceless gift for the child and the family. I especially love the idea that you are keeping money in the community, by using many of your suggestions. Very thought-provoking. Thanks for the ideas! Making memories with friends and family is an awesome gift that will last long after the wrapping paper has been discarded and the holiday has passed…a great idea! Keep the ideas coming!